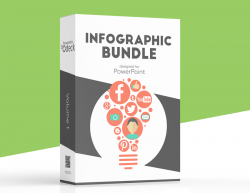 This product is also available in the Infographic Bundle for PowerPoint. 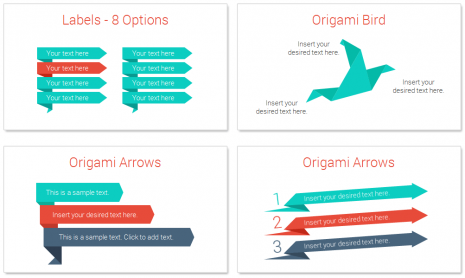 Origami infographics for PowerPoint with 16 pre-designed slides. 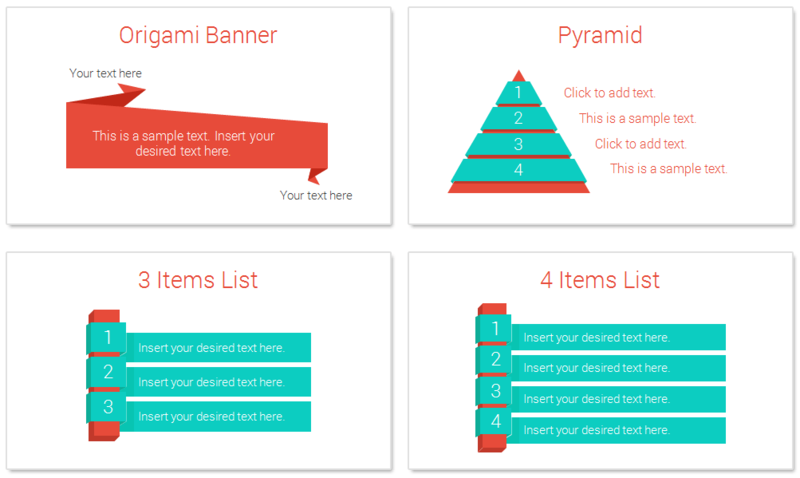 This template comes with vector-based graphics including; banners, labels, origami bird, pyramid, arrows, and more handy data visualization slides. 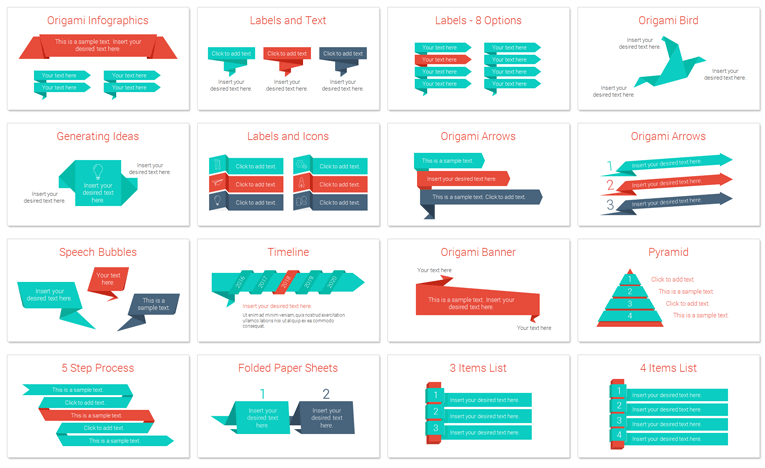 This deck is great for presentations on any topics just copy and paste your text in placeholders and the work is done! 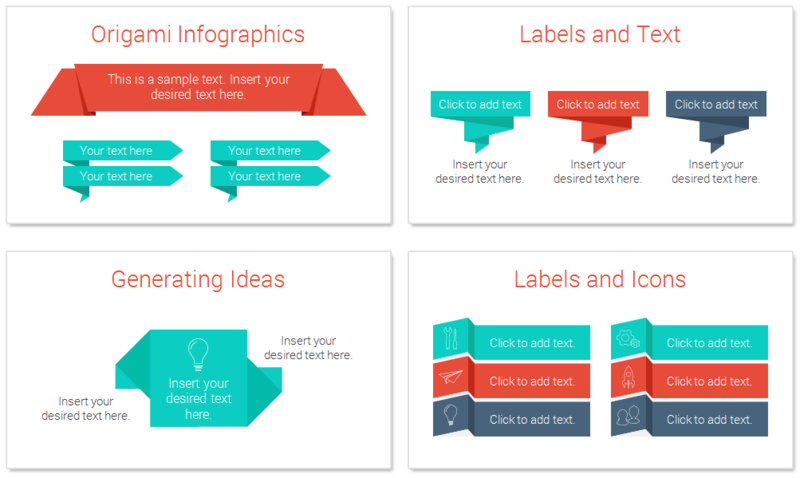 All shapes and design elements are fully editable in the slide master view in PowerPoint. 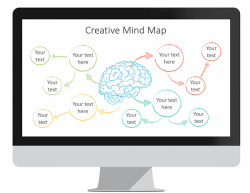 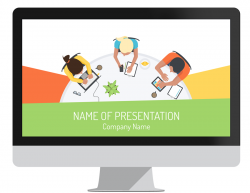 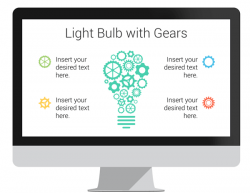 Make memorable presentations with visually striking PowerPoint slides. 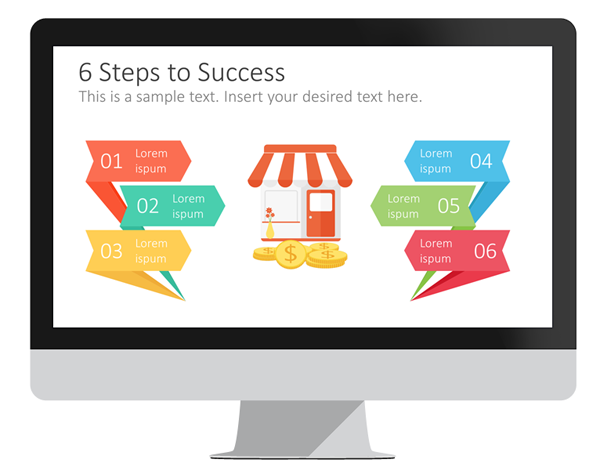 Presentation Deck is focused on producing the best PowerPoint Templates for business with professional pre-designed slides ready-to-use. 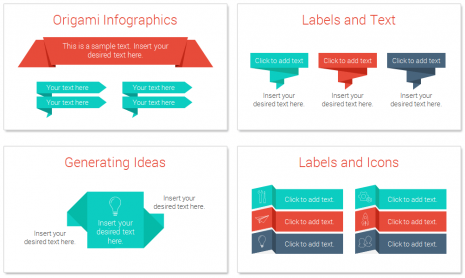 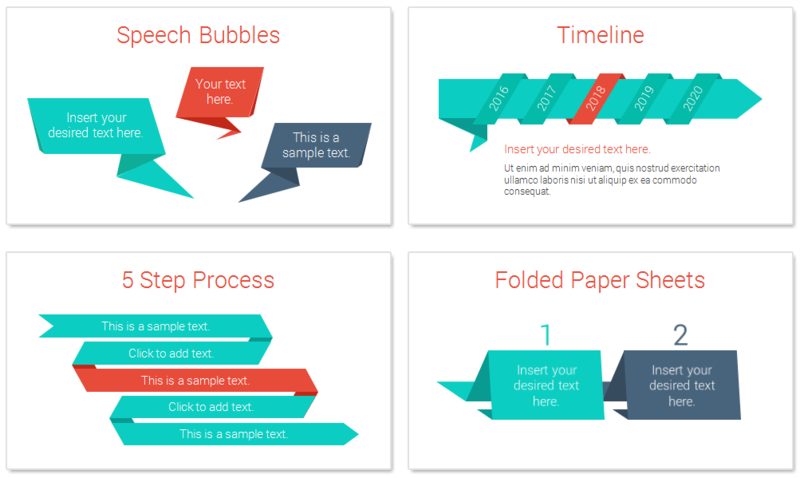 Our templates work with PowerPoint 2007+ and are available for immediate download after purchase. © 2019 © Presentationdeck.com - All Rights Are Reserved. 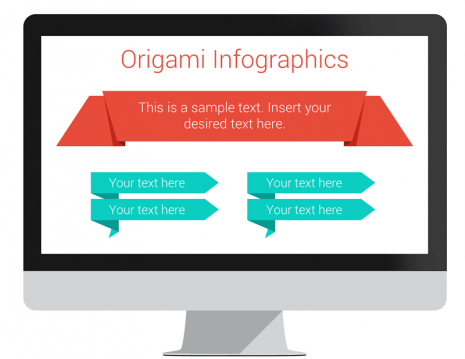 - PowerPoint® and Office® are registered trademarks of Microsoft Corporation.